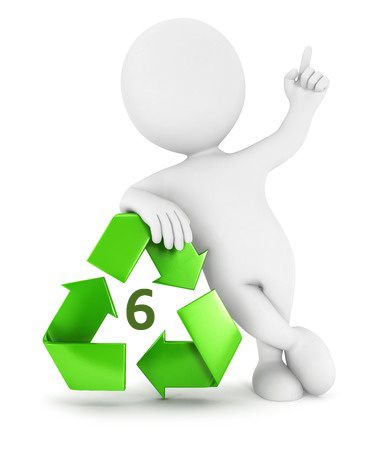 Kirkland residents can deposit their polystyrene waste, also known as Plastic #6, at the Municipal Yard during opening hours of that facility. An employee will be on site to help sort the polystyrene in the three different bins. Large moulded or flat pieces used to prevent fragile items from breaking during transportation (protective packaging). Sanitary or insulated containers used in food service, like coffee cups. Containers moulded by thermoforming or injection: seedling trays and flower pots, cups and lids, yogurt cups, coffee creamers, injection moulded cups, thermoformed hinged-lid containers (generally clear, such as those used for bakery items), CD/DVD cases. Polystyrene, which previously had to be� disposed of in the household garbage collection, is now collected and recycled by the Town of Kirkland, thanks to a brand new partnership with Polyform industries and the Canadian Plastics� Industry Association (CPIA). The collected polystyrene will be recycled and reused in the production of expanded plastic items and/or transformed to be used in the production of hard plastic items.